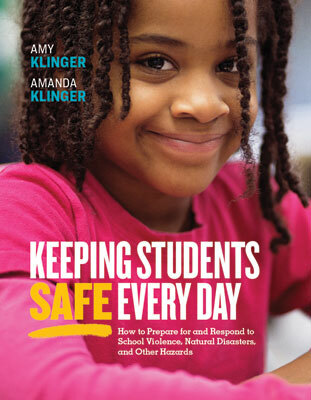 In this informative and comprehensive guide, school safety experts Amy Klinger and Amanda Klinger offer significant—and sometimes surprising—statistics on school safety, dispel common misunderstandings, and provide school leaders with the specific information they need to prepare for and effectively respond to natural disasters, accidents, or violent events. Distinguish between three levels of "lockdown". Amy Klinger is a nationally recognized expert on school safety and crisis management. She has more than 28 years of experience in public education as a teacher, an elementary and secondary principal, and a central office administrator. Amanda Klinger is a nationally recognized expert on school safety and crisis management. She conducts ongoing research on threats and incidents of violence in schools and frequently appears on or is interviewed by national media outlets on topics related to violence prevention, crisis response, and school safety.